Read about this issue in-depth. We found some great sources for our investigation conclusions. The breaking story by the Tribune on themselves when they contacted the Department of Justice and learned that their assets were being sold to the Deseret News. News CEO Clark Gilbert said the LDS Church-owned daily is committed to market demand for multiple editorial voices and that a controversial new business pact between The Tribune and News includes specific protections for both newspapers’ independence. JOA — is an outgrowth of the newspaper preservation act, which allowed newspapers to share operating costs. DigitalFirst has been selling presses and real estate from other papers across the country. 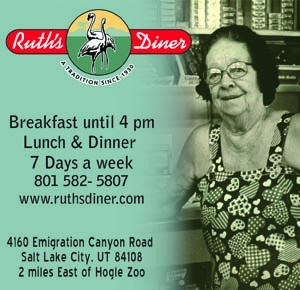 Why the DOJ is looking into this– these agreements are anti-trust and– a local group of former Tribune employees believe this is part of a plan when the Deseret News wanted to buy the Tribune, there were anti-competitive concerns in that deal. 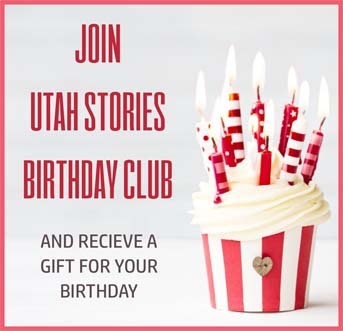 And one DOJ investigator has asked for more information (the Utah Newspaper Project)– They have sold the Tribune’s future profits to the Deseret News, therefore crippling the paper.” Orme’s response is that it remains to see what DigitalFirst’s strategy is. New York Times — It’s an increasing sentiment that wealthy are better benefactors than the short-term hedge fund owners. stuff about reporting on themselves. You have very strong feelings about the place you work, it’s a tricky tight rope, but we have done it a lot in the last decade and a half. We just put in a lot of journalistic rules. More cuts at the Tribune? 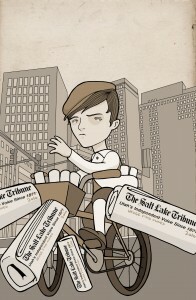 The Tribune has been rumored to be for sale since last fall. I don’t know of a buyer waiting in the wings. I don’t think that the investor ever imagined this as a long-term investment. If it were up to me I would like to see local ownership. That would be my preference. I hope that in terms of staffing reductions that we are good for awhile. We will looking at reducing the number of pages over the next week. About how it entered a JOA with the Denver Post in 2001 and Singleton’s rejection of the deal. Rocky would have entered the market without a printing press, advertiser lists or distribution capabilities. Chronology of the MediaNews Group and Dean Singleton’s buyout of the Salt Lake Tribune. Also, basic chronology of how the Rocky Mountain News joined into a JOA with its rival the Denver Post, but still failed. The nature of the investing illustrates the emerging strategy. After years of steady shrinkage, the newsroom is in the midst of making three dozen hires, and more may lie ahead. But don’t expect an explosion of traditional newspaper positions like local reporters. The focus is digital, launching new blogs and verticals and reinforcing existing ones, with a heavy emphasis on national and international content. The goal is to attract an ever-increasing audience online, with plenty of attention to making it engaging on mobile devices. That traffic jump won’t come from beefing up regional coverage. MediaNews could not outrun the ticking clock of debt accumulation; revenues plummeted; newspaper values tumbled; and lenders threatened foreclosure. Lodovic engineered a strategic and very quick bankruptcy that wiped out $765 million in debt by placing nearly all of the company’s stock in the hands of the former bondholders. Remarkably, the bankruptcy reorganization left him and Singleton in charge and with a small equity stake, plus the opportunity to earn back an equity position up to 20 percent. They also had theoretical control in the form of the power to appoint a majority of the board. the money behind the interlocking investment structures is controlled by billionaire Randall Smith, Alden’s founder, who built his fortune through investments in junk bonds and distressed properties. Alden has offices in New York, Dallas, Dubai and Mumbai, along with a tax-haven presence on the Channel Island Jersey. Alden’s ultimate interest is in earning a strong return on its investments, not in the future of journalism, so its strategy is at heart a financial one. And, yes, consolidation will come at the cost of jobs. Hedge funds — which bought into the industry through and after 14 newspaper company bankruptcies — are having their presence felt. Most recently, Alden Global Capital, the quietest major player in the American news industry, boughtout its partners and now owns 100 percent of Journal Register Company. Alden, with interests in as many as 10 U.S. newspaper chains, apparently liked the moves of CEO John Paton. Paton’s digital-first strategies have more rapidly cut legacy costs than other publishers’ moves, and moved the needle more quickly in upping digital revenues.